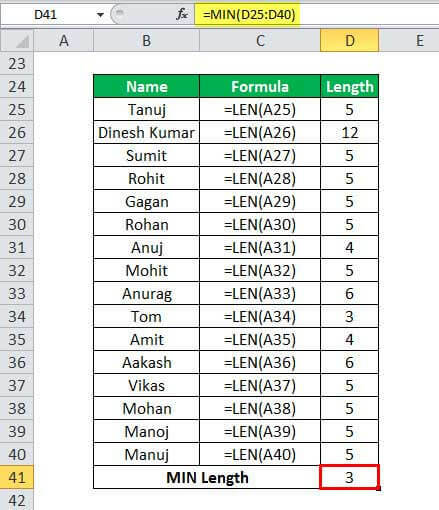 MIN in Excel (formula, example) | How to Use Minimum Function in Excel? How to Use MIN Function? 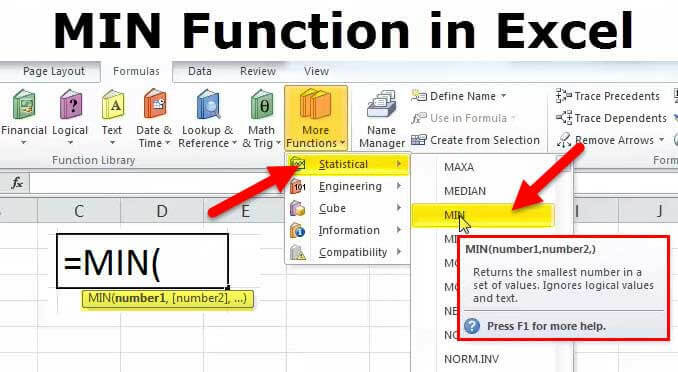 MIN function is categorized under statistical functions in Excel. The MIN Excel function is used to find out the minimum value from a given set of data/ array. It returns the minimum value from a given set of numeric values. 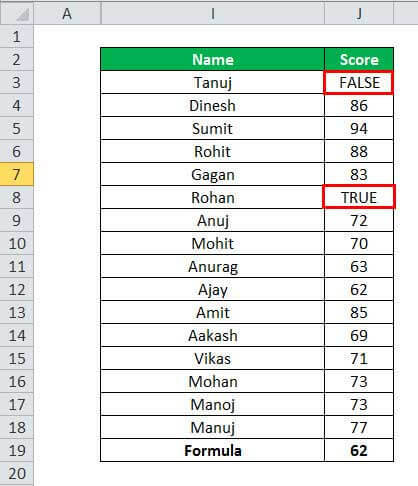 It will count numbers but ignore empty cells, text, the logical values TRUE and FALSE, and text values. It can be used to calculate the minimum salary of the employee, the minimum time/score, lowest expense or revenue amount, etc. 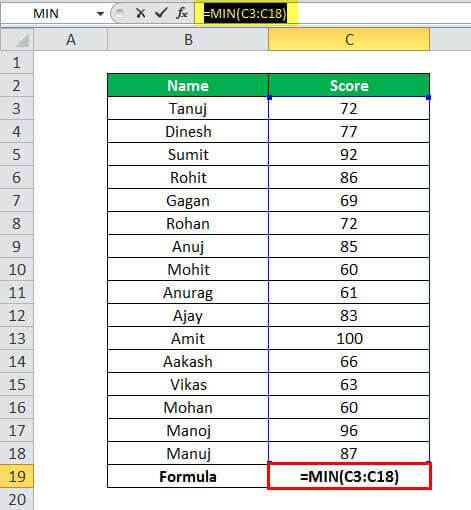 Below is the MIN Formula in Excel. MIN formula has at least one compulsory parameter i.e. number1 and rest subsequent numbers are optional. number1: it is the required number. [number2]: Rest subsequent numbers are optional. 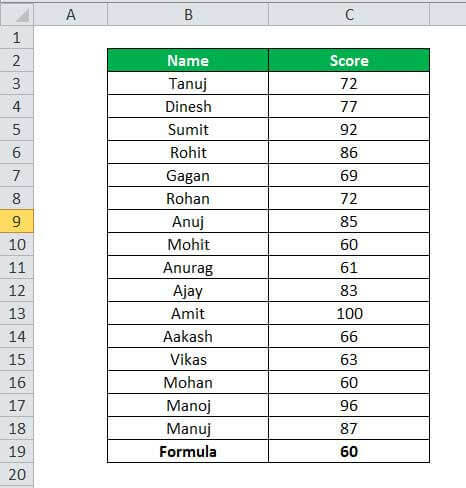 How to Use MIN Function in Excel? 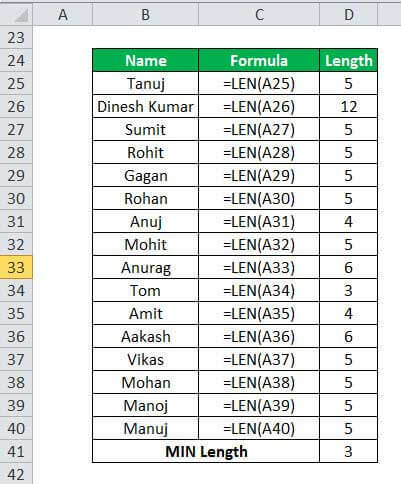 MINIMUM function in excel is very simple and easy to use. Let understand the working of MIN function by some examples. MIN can be used as a worksheet function and as a VBA function. 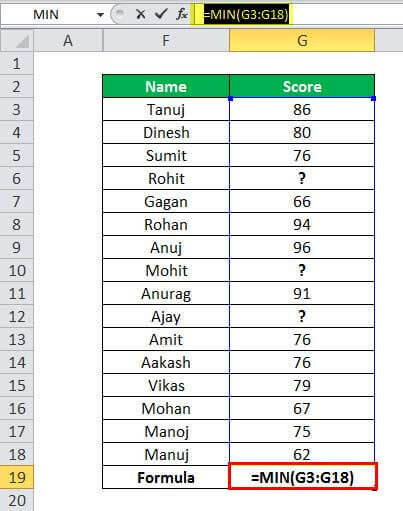 In this example, we have a student database with their score details. Now we need to find out the minimum score from these students. 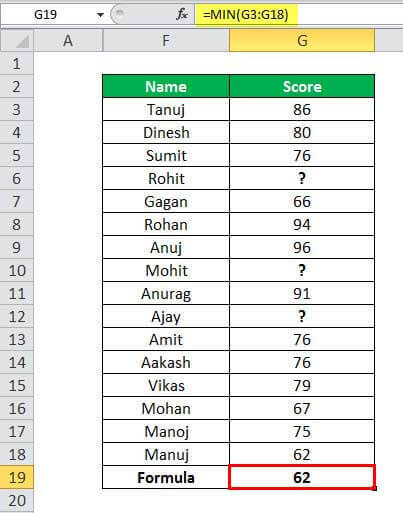 and it will return you the minimum score from the given list of scores as shown in the below table. 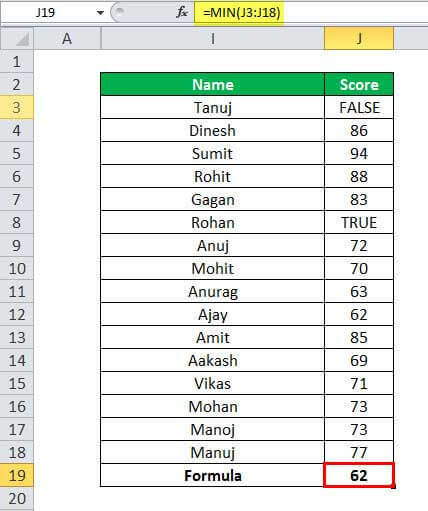 In this example, we have a student details with their score but here some student did not have any score. 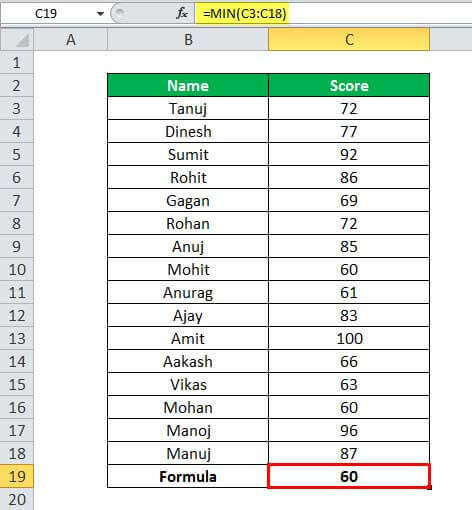 MIN Function ignore the empty cells and then calculate the minimum score from the given data as shown in the below table. 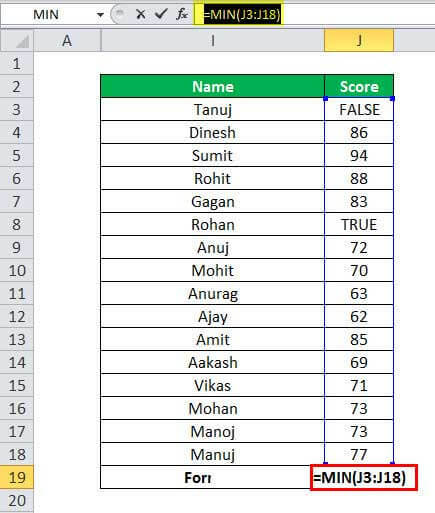 MIN function in excel ignore these Boolean values cells and then calculate the minimum score from the given data as shown in the below table. Suppose we have a list of names and we have to calculate the name with minimum length. 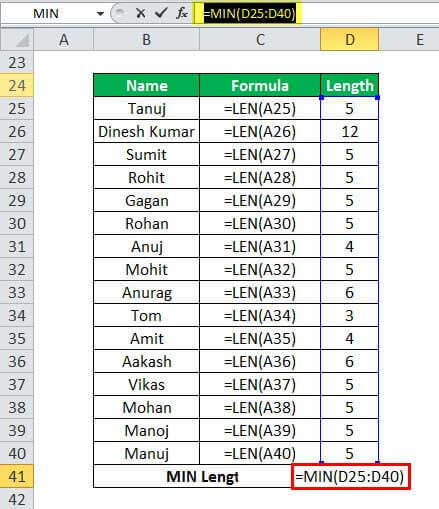 Here we have to apply the LEN function to calculate the length of the name then apply the MIN function to find out the name with minimum length. MIN function can be used to find the MIN date from the given set of dates and minimum time from the given time and can be used to find the minimum currency from the given data as shown in the below table. MIN function can be used as a VBA function. MsgBox Ans //Display the MIN value in Message box. It throws #VALUE! Error if any of the supplied values are non-numeric. If this function does not have any numbers in the arguments than it will return the 0 as output. 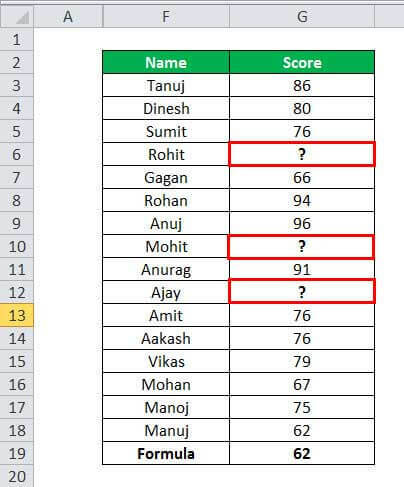 How to Delete Blank Rows in Excel?